May Meditation Challenge 2018 –> Are you IN? The May Challenge moves us from the physical to the mental, into our mind gyms. 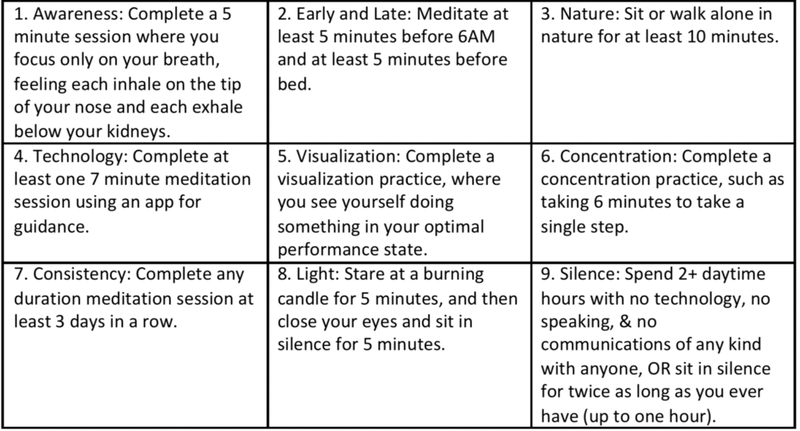 Your objective, should you accept this challenge, is to complete the Meditation Grid below. The Meditation Grid is complete once all 9 squares are experienced and marked off. If you are new to meditation, keep it simple and folllow the instructions without over-thinking it. It‘s not about removing thoughts, but learning to shift your focus, to observe your thoughts, and to separate a little from the over-active, busy mind. If you are experienced with meditation and want to stretch yourself this month, I suggest you double the durations and perhaps even double the grid. For all, you may wish to use a timer app, such as the built-in app on your phone dor a meditation-friendly timer, such as Insight Timer. Just make sure you put your phone on airplane mode during all sessions, so that you are not disturbed. For seated meditation, make sure you sit on something so that your hips are higher than your knees. Sit high enough so that you are balanced and are able to sit with a straight spine with as little effort as possible. It‘s ok to sit in a chair as well. I don‘t advise you lie down, as you are more likely to fall asleep! Sit tall, set your timer, eyes closed, and focus fully on each breath. Envision you are sitting on a river bank and each time a thought arises, you are watch it float by on a river, sitting on a leaf. You see it coming, you see it in front of you, and you see it float away. 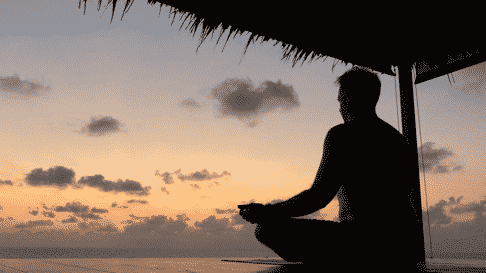 If sitting, you are welcome to make this an open-eyed meditation, where you observe nature. Avoid being distracted by people or technology and simply immerse yourself into nature. Try out an app such as Headspace, Binaural, or the Muse headband and app. Share your experience on the Facebook group. Do the visualization as a self-practice, or listen to a pre-recorded Guided Visualization. The 6-minute step is a super slow motion concentration exercise. Move as SLOWLY as possible for 6 minutes, but always in constant motion. Take 1-2 steps during this time, never pausing your body, but always thinking deeply of each micro-movement, shift in balance, and muscular activation required to take a step. Suggestion is to sit in silence for a few minutes upon completion. Just be consistent…that‘s all! Duration or specific meditation activity doesn‘t matter. Don‘t do this while driving, or while at work, if you work with flammable materials! Silence practice: this is a sampling of a Vipasana Silent Meditation, which is an experience that may last 10 or more days. For this teaser, challenge yourself to go at least 2 (non-sleeping) hours with no communication or technology of any kind. If this is not possible, then the alternate practice is to complete a meditation session twice as long as you ever have. Just ask to join this closed Facebook Group — for support and accountability. The support group on Facebook brings friendly and supportive people together from around the world. Once you’re in, feel free to add any friends who want to join. It’s not required that you post on the group, or even join it in the first place. It’s more fun and motivational in a community though! By the way, this whole thing is FREE — just good people coming together to support each other. Finish the 100s game below. Each entry is a separate workout for time, which can be done whenever you wish in the month. These are short workouts, so use proper form and go hard. Bonus points if you combine and do two or more in a given day. Note: Hillseeker Burpees are a normal burpee with a 2-count Mountain Cilmber added before you jump back up again. How do I join if I’m not on Facebook? Just say I’m in out loud 3 times, and you’ll be in! 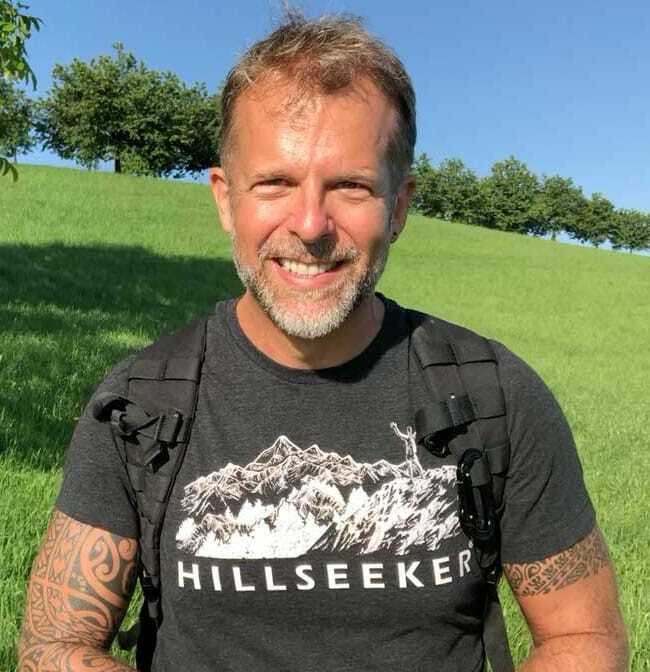 If you want to connect the dots and receive a virtual high-five, feel free to also drop me a note at [email protected] or say hi on other social media channels (links in footer). May I join the challenge, but start my own Facebook group for my gym, club, friends or community? Sure. I’d love to see you in the global group, so how about both? Breathing Challenge March 2018 –> Are you IN? 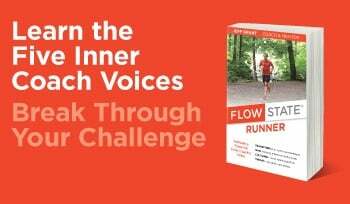 June Challenge 2018: Flutter Kicks--> are you IN? 20-Day Plank Challenge | January 2019 --> Are you IN? Push-up Challenge April 2019–> Are you IN?